Buffalo Sabres award captaincy to centre Jack Eichel. 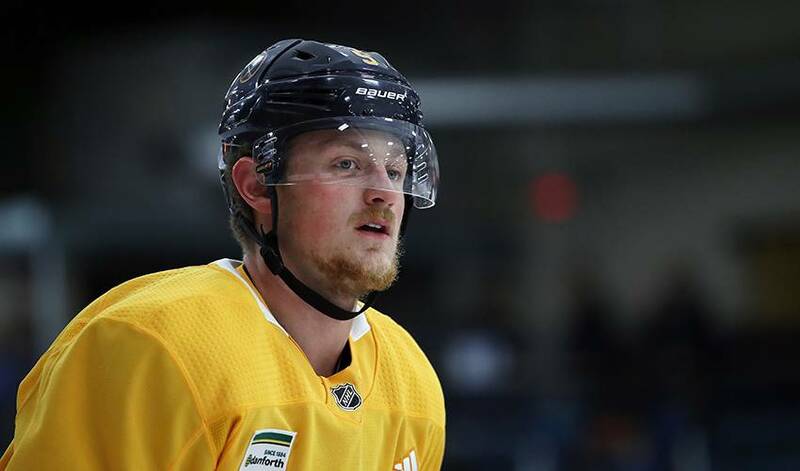 BUFFALO, N.Y. — Centre Jack Eichel has been selected captain of the Buffalo Sabres. The team announced the decision Wednesday, a day before its season opener against Boston. Eichel becomes the Sabres' 16th full-time captain, and first to wear the "C'' since Brian Gionta handled the role from 2014-15 to 2016-17. Buffalo went with alternate captains the past two years. Eichel is entering his fourth season since being selected with the No. 2 pick in the 2015 draft. The 21-year-old is also the franchise's highest-paid player with his eight-year, $80 million contract kicking in this season. Eichel leads the team with 73 goals and 177 points in 209 games during the past three seasons. Forward Kyle Okposo and defenceman Zach Bogosian were picked alternates captains.